The HP Multi Jet Fusion technology was developed and released by Hewlett-Packard (HP) in 2016. Utilizing their long history and deep technological understanding of the 2D printing industry HP was able to develop the MJF 3D Printing technology that has revolutionized the 3D Printing industry with its high quality, high production speed, and low cost per part. Multi Jet Fusion is a powder-based technology but does not use lasers like SLS. First, the powder bed is heated uniformly (this happens continuously throughout the build). A fusing agent is jetted out of 30,000 nozzles where particles need to be selectively molten as the print head moves across the build platform. A detailing agent is then jetted around the contours to improve part resolution and make edges “sharp”. High power lamps then pass over the surface of the powder bed, the jetted material captures the heat and helps distribute it evenly, this in turn selectively melts the material that the machine has been loaded with and forms a single layer of the part that is being produced. By repeating this process over and over, layer by layer, a part is built by the machine. When the MJF printing process is complete, the build box is removed from the HP Multi Jet Fusion 3D 4200 printer, loaded into the cooling station, and cooled for a few hours. An operator then carefully extracts each of the parts from the build box and removes the remaining powder using brushes, a vacuum, and compressed air. 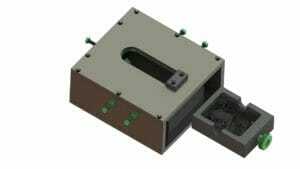 MJF 3D printing technology is much faster than competing processes. Rather than tracing each individual detail in a build layer like SLS or SLA, MJF scans the entire surface on each pass at a consistent rate, regardless of how many parts are in that layer (similar to how a laser printer prints each page in a document). This provides build speeds several times that of competing technologies, even with larger quantities of parts in the build chamber of the machine. 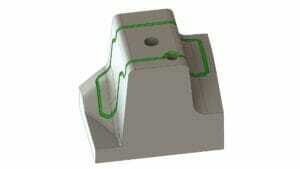 MJF is also able to produce parts with smaller / finer features then what SLS based printers are able to do. MJF 3D printing can be an amazing solution to the problem of needing to make lower volumes of parts with difficult and expensive to tool features. The key thing to remember when you are considering Additive Manufacturing with MJF over RTV urethane casting and injection molding is that there is not a direct correlation between the complexity of your part and the price it costs to produce it. 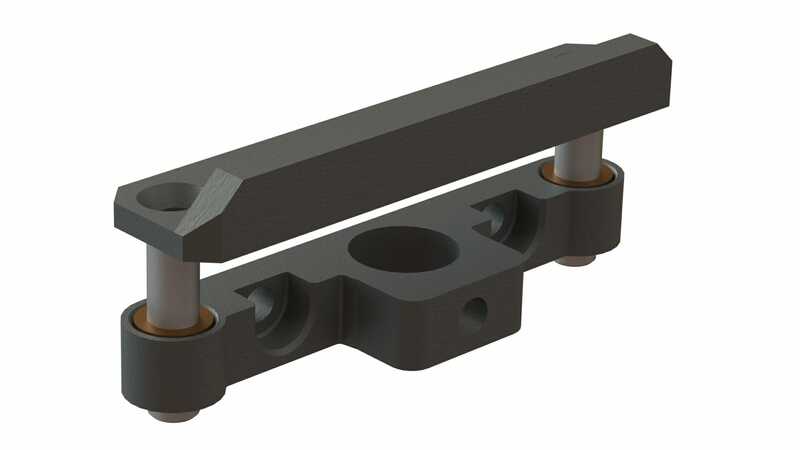 The MJF part cost is driven by the quantity ordered, the volume of the part, and how long it takes the machine to build it. Generally where MJF is most competitive in price is for Nylon plastic parts that are 6″ x 3″ x 6″ or smaller (there are some exceptions for larger parts). 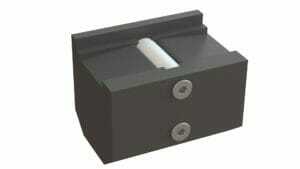 There is NO TOOLING needed with MJF, production can start the same day we receive the part file. Need a part with no draft? No problem. Need a part with complex internal passages for air, water, or wires? No problem. Need a part with non mold-able features? No problem. Need to customize every part that is made with text, graphics, or even complete engineering changes to the part geometry? No problem. 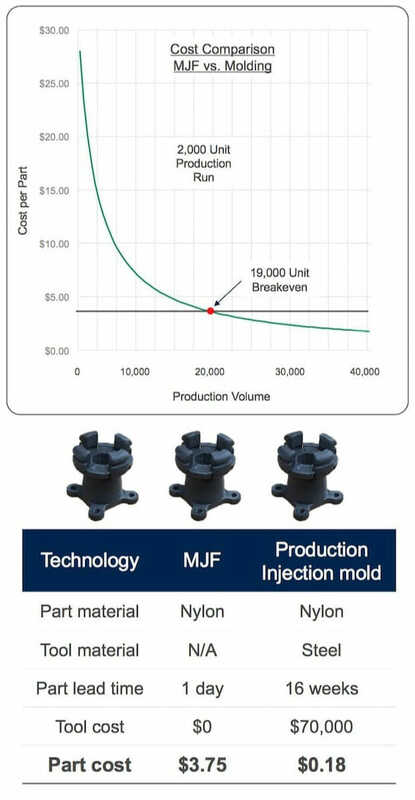 MJF is capable of handling all of these challenging requirements and still being competitive on price, quality, and lead time with both RTV urethane casting and injection molding at lower volumes. A common question we get at Forerunner 3DP is “can 3d printing be used for mass production”? With the advent of MJF 3D Printing, the answer to this questions is now “YES”! 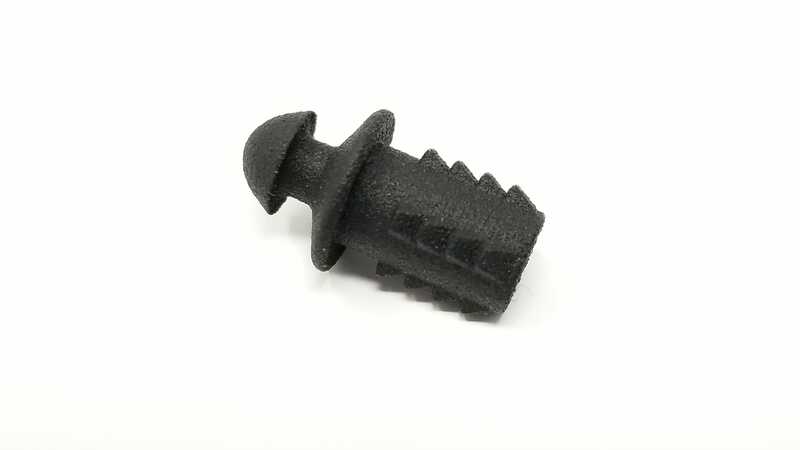 For more detailed information on the accuracy of MJF 3D Printed parts please see our post on the accuracy of 3d Printed parts. Test results realized under the ASTM D638, specimens type V.
This 40% glass bead filled thermoplastic material produces stiff, functional parts. PA 12 GB has both optimal mechanical properties and high reusability, and provides dimensional stability. 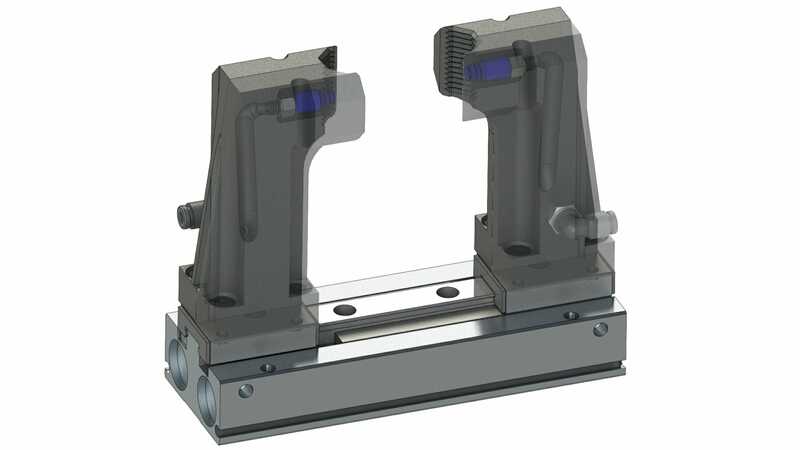 It’s ideal for functional applications requiring high stiffness like enclosures and housings, fixtures, and tooling across a variety of industries. This thermoplastic delivers optimal mechanical properties, and is known for producing strong, ductile, functional parts. PA 11 also provides excellent chemical resistance and enhanced elongation-at-break. 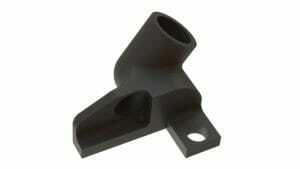 Ideal for impact resistance and ductility for prostheses, insoles, sports goods, snap fits, living hinges, and more. One of the most important factors that makes the HP Multi Jet Fusion technology exciting is that it is an open platform for the materials it uses. Traditionally, 3D Printer manufacturers have worked off the old business model of “sell them a 3D Printer and then force them to use the materials that we sell for it“. This was done by locking up material categories with patents, encrypting machines so they require an authorized RFID chip to replace / refill the material, and overall market saturation that made it extremely difficult for anyone other then large multi-nation corporations to enter the space and compete with their marketing. 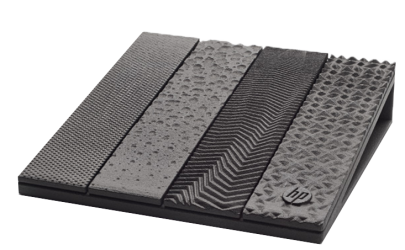 HP is taking a totally different position on materials for MJF 3D Printing. They are allowing anyone who would like to develop a material for the platform to do so! 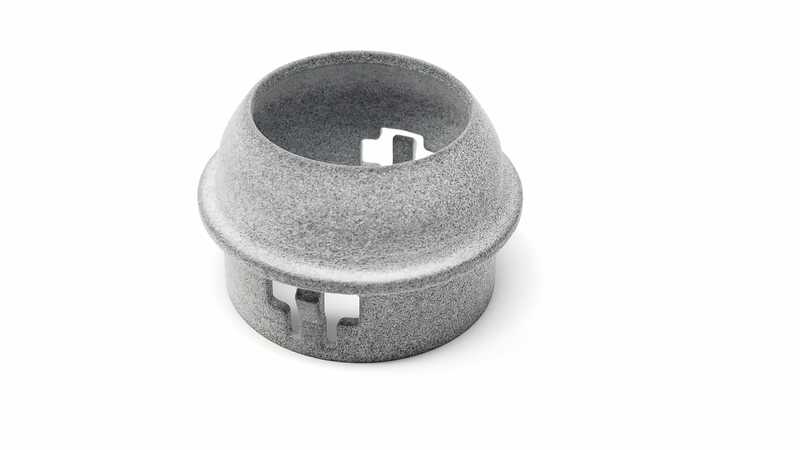 This is a radical new development in the world of 3D Printing and has opened the door for traditional materials companies like Dow Chemical, BASF, Henkel, and others to begin to reformulate their most popular materials for the use in the HP Multi Jet Fusion process. 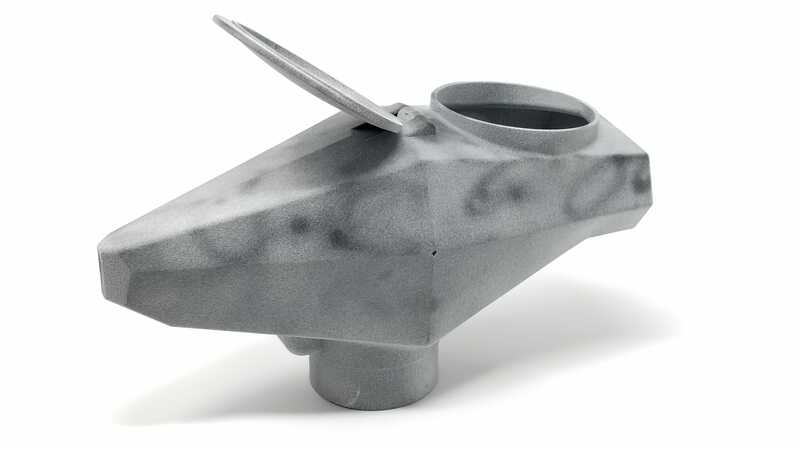 In the near future it is expected that HP and its partners will begin releasing many different types of Multi Jet Fusion Materials for the MJF 3D printing process. Some examples that are know to be in the works are flame-retardant and glass-filled nylon, elastomers, and multiple colors in a single build. At Forerunner 3D Printing we are excitedly monitoring these efforts and will be adding new materials to our portfolio as they are released onto the market. Click here to learn more about HP’s open materiel platform. MJF 3D Print of a visual inspection / CMM work holding nest. 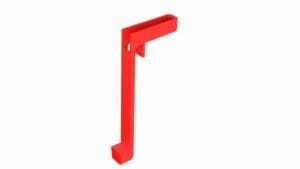 Combination of an MJF 3D printed nesting insert that is housed in a larger aluminum vision inspection system fixture. NOTE: Part made with MJF 3D printing can be dyed or sanded and painted to be a requested color or left raw (ash gray in color). Engineers and Designers who are planning to produce Multi Jet Fusion Parts benefit greatly from the extreme design freedom that this process affords. Unlike traditional manufacturing processes like injection molding and CNC machining where there are limits on what features can be designed into a part due to cost, set up, or tooling restrictions. MJF 3D Printing is an additive manufacturing process and therefore you are only limited by your imagination and a few very basic guide lines.